Coating: Every piece of East Coast Mesh is hand dipped in a secret wax formula. East Coast Mesh was developed to perform in all weather conditions. This companys mesh is known for its water resistance and how water beads off of it. This will stop your stick from gaining weight and bagging out during a rain game. 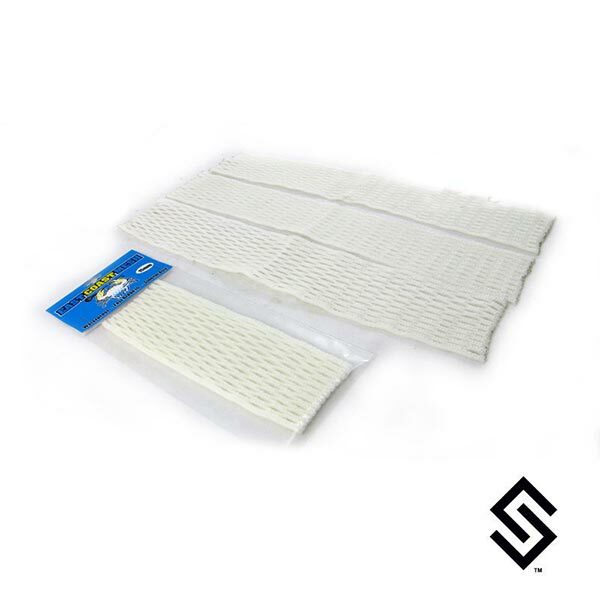 This mesh is great for facing off. Due to the softness of ECM, a FOGOs pocket will return to the outward position from the weight of the ball. This essential for key grown ball opportunities. ECM has a slightly tacky property to it that adds to your pockets hold.